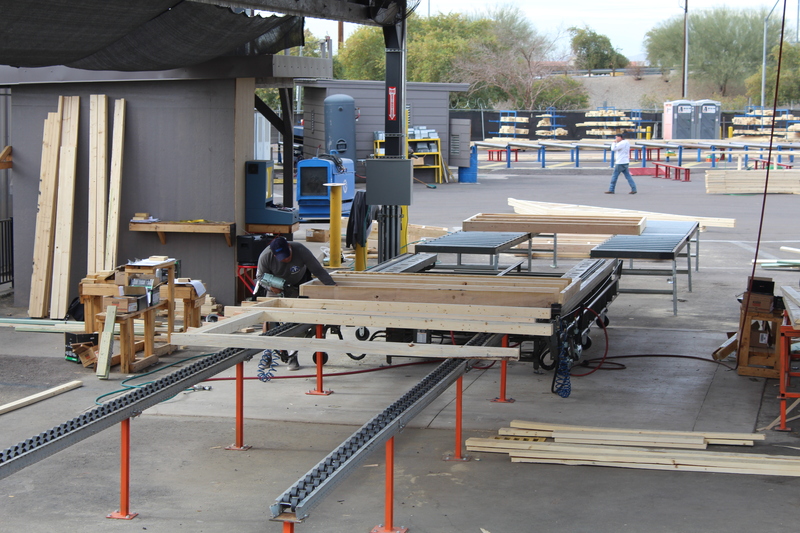 TF Panels was established in 2016 to meet the demands of the ever-growing construction industry in Metro area of Arizona. As demand for new construction increases and the labor force decreases, a viable solution was to create a company to manufacture wood wall panels for all types of projects. TF Panels can build almost anything that our customers may need, from customs homes, tract houses, garages, sheds to commercial buildings. We have also built wall panels for tenant improvement projects. 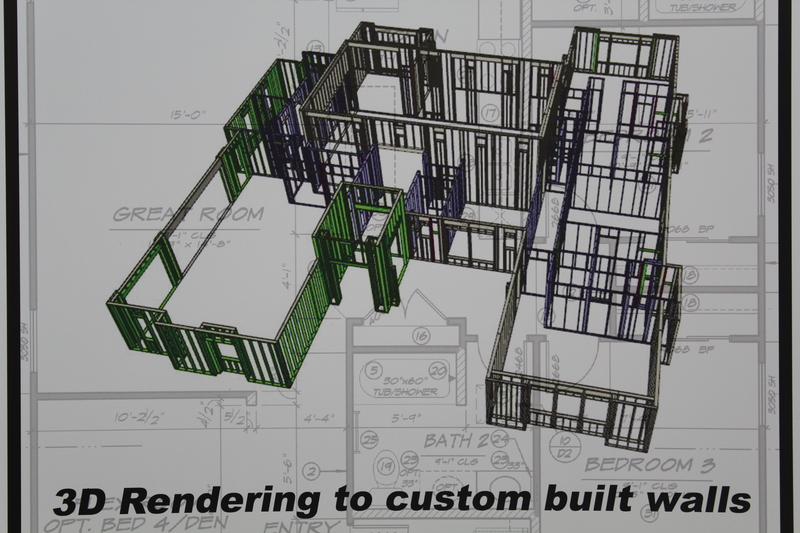 At TF Panels, we use a 3-D software to design the wall panels for your project. This will allow us to see conflicts, issues and/or clashes in real time prior to production. This allows our customers to view their final product in the 3-D viewer. We use the Mitek Blade Saw to cut and mark our wall plates and parts. We also use a Triad semi-automated table for assembly that allows for a more precise manufacturing process of the product. We can also deliver the product on a flatbed semi-truck with a rear trailer mounted Piggy Back forklift this helps to ensure we deliver out the finished wall panels almost anywhere the customer may need. The benefits of panels leave minimal jobsite waste, reduces the amount of “extras” ordered, makes budgeting and estimating very easy and minimalizes the risk for jobsite theft. Another benefit for our customer is we are a complete source for their projects. We work hand in hand with the lumber and truss divisions to ensure everything you may need is available to you. At TF Panels, we offer competitively priced wall panels to allow increased production times with less labor and waste. Bottom line is it saves you money. Give us a call and let us show you how.